“Cold Pursuit" Makes $10.8M at Weekend Box-Office; Has Liam Neeson Now Entered Nicolas Cage Direct-To-Video Territory? Lionsgate's s Cold Pursuit “slightly exceeded [box-office] expectations with an $10.8 million opening,” according to BoxOfficeMojo. The film played to a 58% male audience, with 79% of the overall audience coming in aged 25 or older. Neeson's The Commuter, opened last January with $13.7 million and went on to gross around $36 million domestically. If anything, the “slightly’ exceeded expectations might have to do with the controversy which hit the actor earlier this week, it probably alerted audiences who may have not known that he had a new movie out that “Cold Pursuit” was being released. 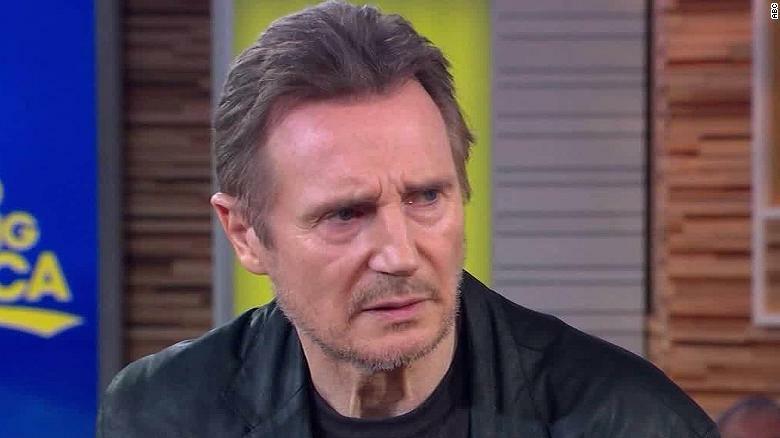 Liam “Smaller Paycheck” Neeson is what they call him now, ever since “Taken” the Irish-born actor has been going down the Nic Cage route by starring in his own brand of revenge-styled thrillers, the list speaks for itself: “Taken,” “Taken 2,” “Taken 3,” “The A-Team,” “Unknown,” “The Grey,” “Non-Stop,” “Run All Night,” “A Walk Among Tombstones,” and last year’s “The Commuter.” That’s 10 action-revenge movies in the last 10 years. Of course, he had the time, amidst this chaotic schedule, to star in Martin Scorsese’s contemplatively artful “Silence,” but Neeson has turned into a bonafide easy pay-day conglomerate. The guy, much like Cage once-upon-a-time, used to take risks., but with Hollywood now too-scared to potentially have him star in big-buget vehicles, is he now going to go down the very lucrative direct-to-video route? As Deadline‘s Anthony D’Alessandro mentions, Neeson’s audience stretches far beyond the States and into global territory. Worldwide audiences don’t care about the controversy that happened this past week. His career is not over. If he has to go full-on-Nicolas-Cage then he will. Liam Neeson has quite possibly entered C-movie territory this weekend.